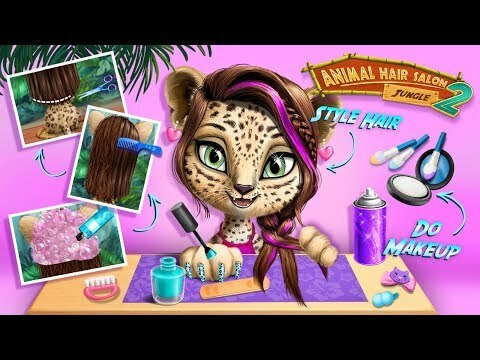 Join millions of kids in new hairstyling and beauty makeover adventures in Jungle Animal Hair Salon 2 kids game! Meet their beloved beauty salon clients at the beach and play new summer holiday makeover and pet care games for kids. Wash, dress up, style and design fun and crazy looks! Kids' favorite jungle animals and new games make Jungle Animal Hair Salon 2 the best sequel of the most popular pet care game for kids from TutoTOONS. Free your imagination and have fun! Travel to the tropics and say hello to leopard Amy, elephant Sarah, zebra Gizelle, monkey Maya and toucan Rosa. Every jungle animal has its own style and favorite spa but they all need summer fashion tips from the best pet beauty salon! 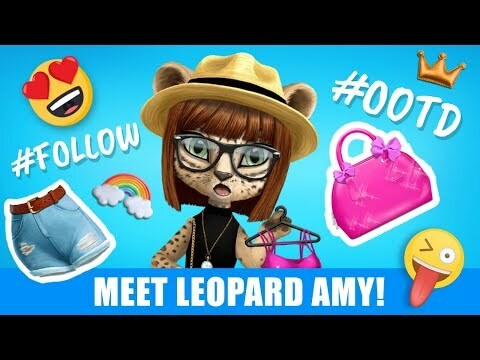 Leopard Amy wants to look cute with new makeup and fancy clothes. Elephant Sarah loves a spa bath and wants to dress up for holidays at the beach. Zebra Gizelle can’t wait to try new hairstyles and cool outfits. Monkey Maya plays in the jungle, always gets messy and hungry. Toucan Rosa misses her Rio Carnival look and needs you help look wonderful. Take your hair styling tools to the sandy beach and start your summer beauty salon adventures! · Play Jungle Animal Hair Salon 2 kids game every day and collect bonus coins! NEW! Take care of the cutest zebra Gizelle!NEW! Shower her, feed & do a crazy makeover!NEW! 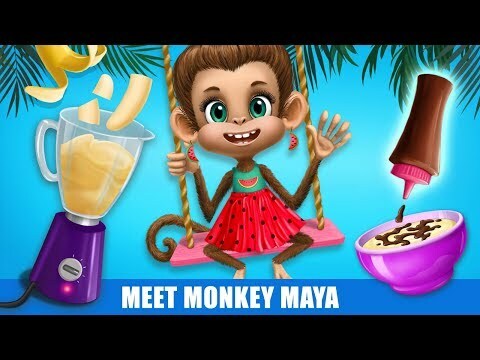 Style hair & dress up monkey Maya!NEW! 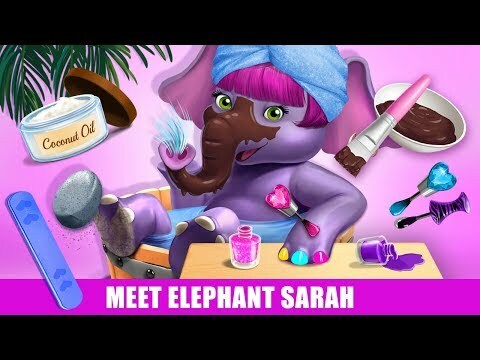 Design cool clothes for elephant Sarah!NEW! Create your own Halloween pumpkin!